Traffic is the bloodline of any online business. Without any traffic, the best looking website is useless. Mastering traffic generation can be both easy and difficult. There is always traffic available on the internet and the key is how to get targeted traffic to your websites. In order to achieve faster results, I usually encourage my students and clients to invest into paid traffic. However, that does not mean that you need to spend an arm and leg to generate quality targeted traffic. 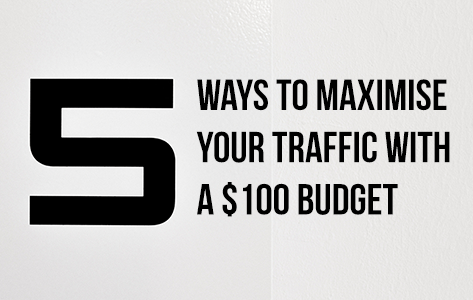 Here are 5 ways to maximise your traffic on a limited budget. Content is still the king on the internet. With valuable content, you are able to attract traffic. Publish your content on articles directories, other people’s websites, forums and not forgetting your own blog. Get your content published all over the internet and remember to link them to the websites that you are promoting. If you are unable to post on the authority and industry blogs, then the next best thing is to hijack the traffic by commenting on their blog posts. 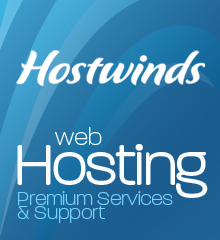 Make sure that you register with the site and also include a link to your website. This is a great way to drive traffic when others start clicking on your profile or website link when you make an intelligent comment. This is an era of social media. Having a social media presence must not be neglected. More importantly, it is free to start and only cost you time and energy. The key is to be engaging in the various social media platforms that you are participating in. Whether it is Facebook, Twitter or Instagram, you will need to interact with other users and followers. Then when it is appropriate, post links on these platforms to promote your websites and websites content and that is how you will drive traffic to your websites. You can create something such as a report or ebook or online course that you can give away. You can also provide cash giveaways or physical items. Most people like free stuff and if you give away something really valuable, it will create viral effect. It is like sponsorship. At the same time, remember to promote your website. Obviously, if you are on a limited budget, you can spend part of the budget to get the gift OR create free gifts such as video case study that should not cost you a dime in creating them for the giveaway. Depending on your level of business, affiliates may be the most cost effective traffic generation method. All you need to do is to set up a simple affiliate program and then build up your army of affiliates. Having contest and use the $100 as prize money can become the best way to generate traffic and sales to your websites. Generating traffic doesn’t have to be expensive. Before you implement any new tactic, create goals and a plan to achieve them. Test and track for success. Repeat any and scale up the effort when you become successful.